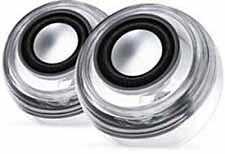 Apple Pro Speakers feature powerful Harman Kardon audio technology. 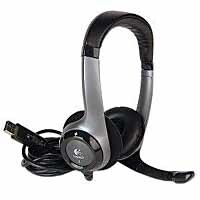 They connect to your Power Mac G4 using a single cable which provides 20 watts of sound (10 watts/channel) to the speakers with a frequency range of 70 hertz to 20 kilohertz. The Apple Pro Speakers can be used in conjunction with the Harmon Kardon iSub system to enrich your audio experience even more. The analog-based speakers require systems with an Apple speaker minijack. 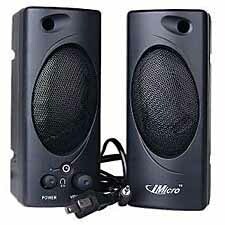 They are not USB-based speakers. 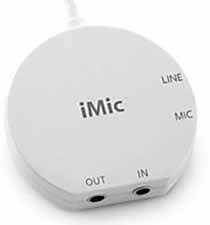 Currently, Apple Pro Speakers can only be used with newer Power Mac G4 (Digital Audio, QuickSilver, MDD, Cube G4) desktop systems and all iMac G4's that have the speaker minijack. Used tested. $34.77 includes shipping. Only one set order now. 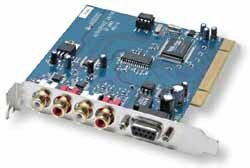 The M-Audio Audiophile 2496 sound card is an easy way to upgrade your Mac computer's integrated audio for professional-level audio production. Delivering above CD-quality 24-bit/96kHz fidelity, there are individual left- and right-channel analog coaxial gold-plated RCA jacks. A nine-pin breakout cable connects to the card adding a set of coaxial digital S/PDIF and MIDI I/Os. Combined with the included Ableton Live Lite 5 software you can produce and playback professional-sounding recordings right out of the box. 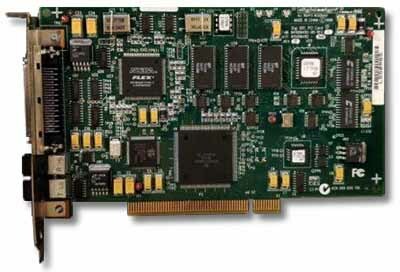 The Audiophile 2496 is part of the company's Delta series of sound cards that use a 36-bit embedded DSP (digital signal processor) for software-driven routing of all analog I/O with extremely fast throughput for instant monitoring software-based monitoring. A single unified control panel provides settings for clock and sample rates, buffer sizes and individual signal levels for every input and output, easily accessible through most professional audio software applications for seamless integration and operation. Works in 10.4 thru 10.5 PowerPC only. 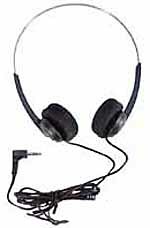 THIS IS A USED TESTED PULL, driver included on CD. No cords or cables included. Our $49.77 price includes domestic shipping. ONE ONLY ORDER NOW! If the audio cord on your stereo headphones isn't long enough, this 6-foot extension cord can help out! 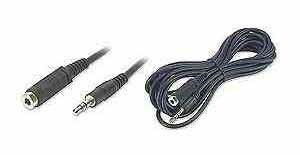 Use it with portable music players, sound cards, or DVD players, or extend the cable length between speakers and your audio system. 6ft. speaker extension cord. 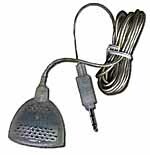 Male to Female mini-phone plug. Shielded cable w/strain relief. Our low $4.99 price includes domestic shipping.